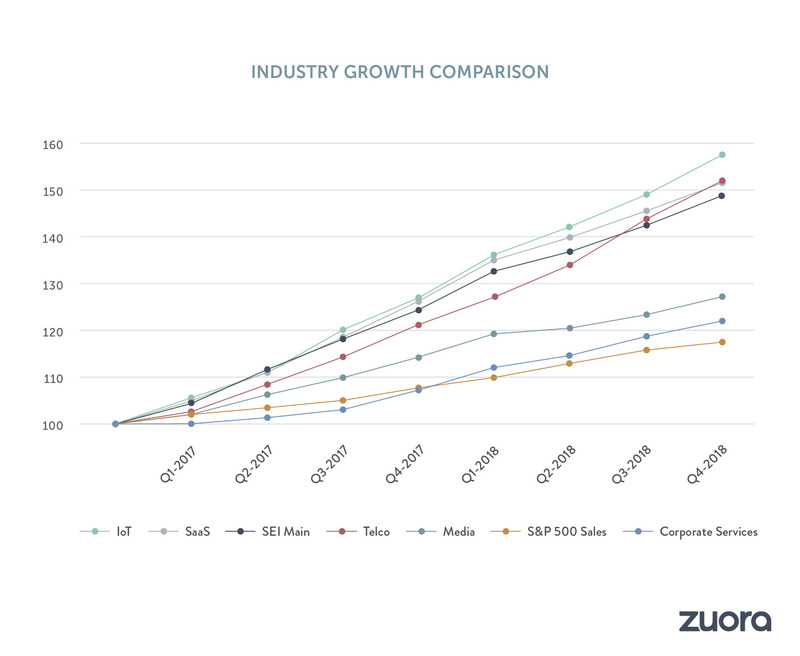 The latest edition of the Subscription Economy Index™ (SEI), Zuora’s landmark index tracking the rapid ascent of the Subscription Economy, reflects the growth metrics of hundreds of companies across North America, Europe, and APAC. It also spans a number of industries including SaaS, IoT, media, telecommunications, and corporate services. In this update (as of December 2018), Zuora Chief Data Scientist Carl Gold shares his latest key findings, as well as an exclusive usage-based billing growth guide. Subscription companies have grown over 300% in the past seven years. Revenue growth last year was driven by subscriber acquisition as opposed to average revenue per account. 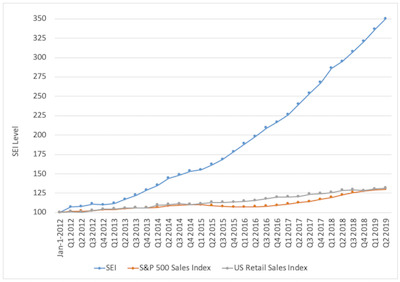 B2C churn has fallen, and B2C growth has exceeded B2B growth. Asia-Pacific (APAC) Subscription Economy growth exceeds sales growth in regional stock market indices by a wide margin. IoT continues to be the fastest growing vertical, versus Media, SaaS, Telco and Corporate Services. Which industries are thriving in the Subscription Economy?